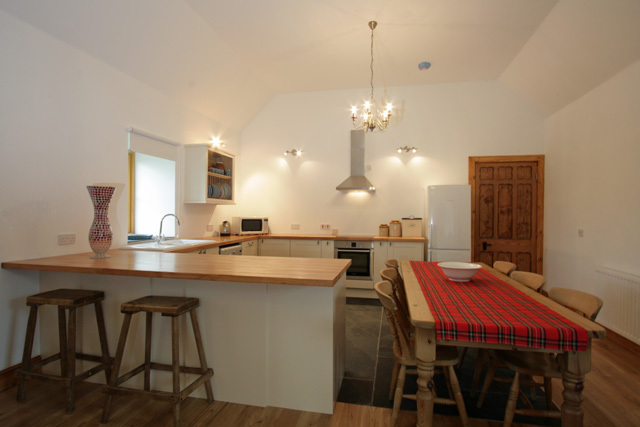 Looking to stay in a unique property then consider Cameron’s Cottage, this traditional barn has recently been renovated and now offers fabulous accommodation sleeping up to six. 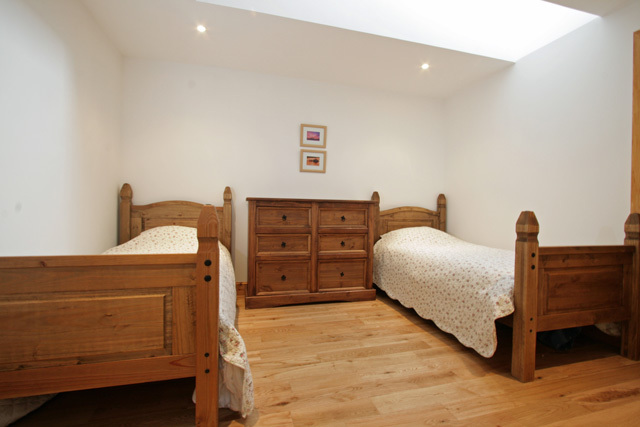 The property is semi detached and has been tastefully furnished in an eclectic mix of modern and traditional pieces. 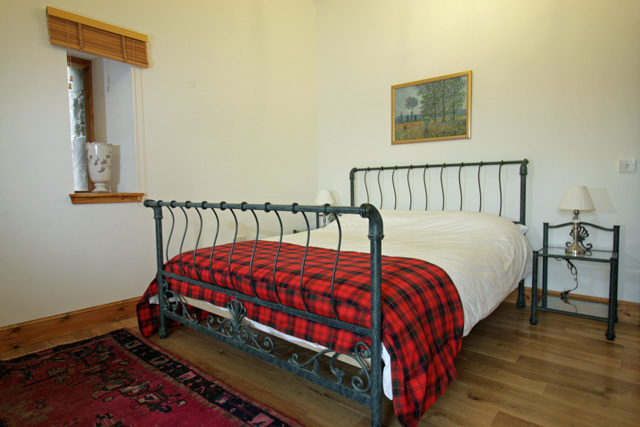 Retaining much of its original character the property makes an ideal base for a great Scottish holiday and exploring the quiet and unspoilt south side of Loch Ness. On entering the property guests will find themselves in a large spacious hallway, off this the main living and bedrooms are located. The main living area is open plan and incorporates the living, dining and kitchen areas. 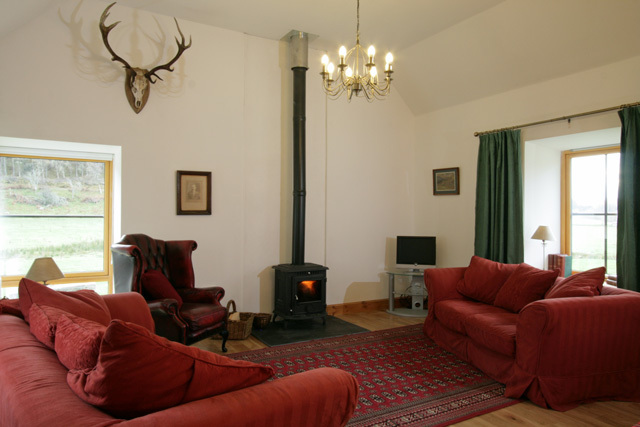 This room has a vaulted ceiling and is spacious and light, at one end the lounge area has comfortable sofas and a wood burner, ideal for those milder nights. At the other end the kitchen has all the usual kitchen appliances and a large dining table seating six. From this room the hall leads to the bedrooms; a master located to the front of the property has a king size bed and an en-suite shower room, a twin bedroom to the side of the property with an en-suite shower room, and to the rear of the property another double with a king size bed. 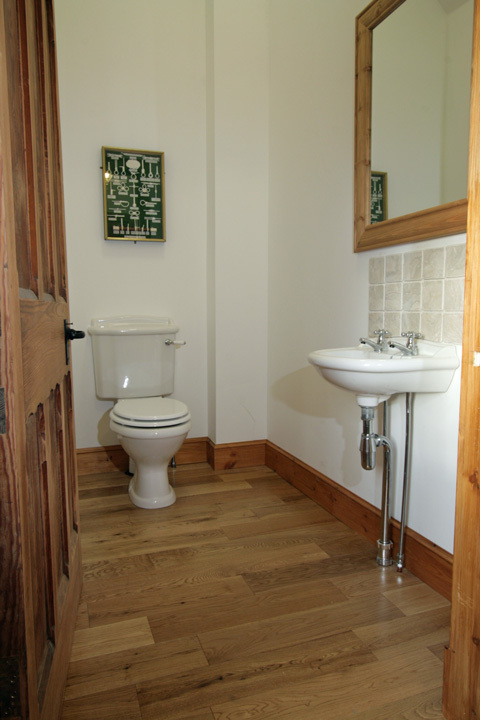 A separate family bathroom with a traditional style roll top bath, and a separate cloakroom, completes the facilities. Although the cottage is semi detached, the layout ensures that the property is private, with it's own entrance and garden area. Lounge with wood burning stove, digital TV with Sky Package, DVD, CD, radio. Selection of DVDs, CDs, games and books. Fully fitted kitchen with electric cooker, induction hob, fridge/freezer, microwave, dishwasher, washing machine, dining table and seating for six. Master bedroom with king size bed, en-suite shower room, wc, whb. 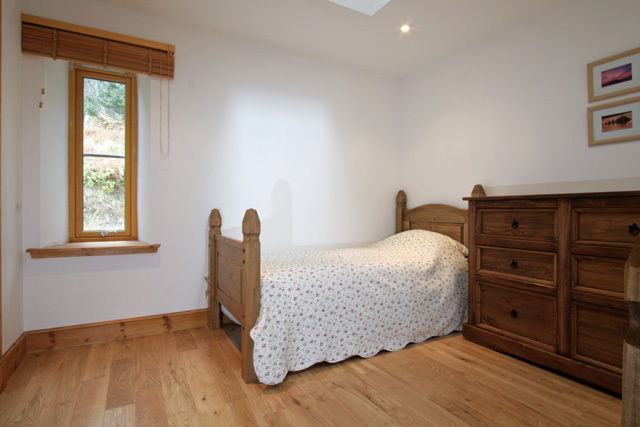 Twin bedroom with en-suite shower room, wc, whb. Bedroom with king size bed. 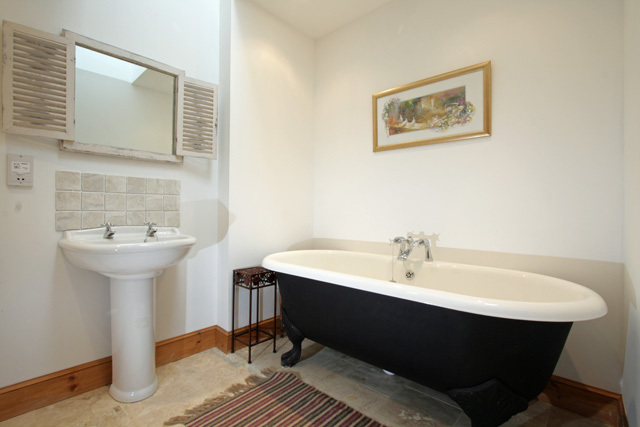 Bathroom with traditional style roll top bath, wc, whb. All bed linen, electricity and initial basket of logs for the wood burner. Towels can be hired at an additional charge of £5.00 per set. Heating at the property is provided by a log boiler system with radiators throughout, this ensures the house is maintained at all times of year at an ambient temperature. Cot and high chair available. Indoor and outdoor drying areas. Large garden with furniture and bbq. Wifi internet access - bring your own laptop. Tesco delivery can be arranged to this property. Good Housekeeping Deposit of £75.00 required. Beautiful conversion of an original barn. 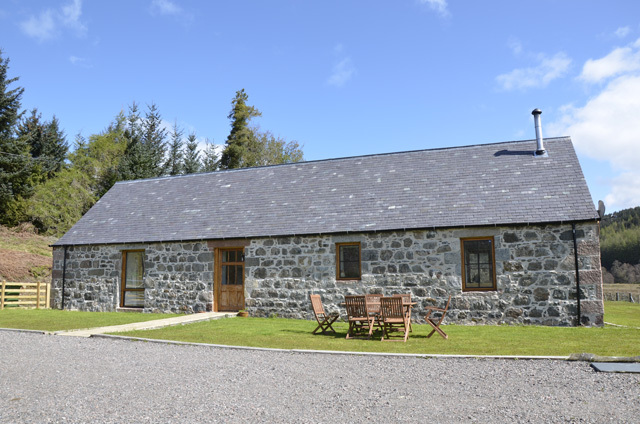 An ideal base to explore the south side of Loch Ness. 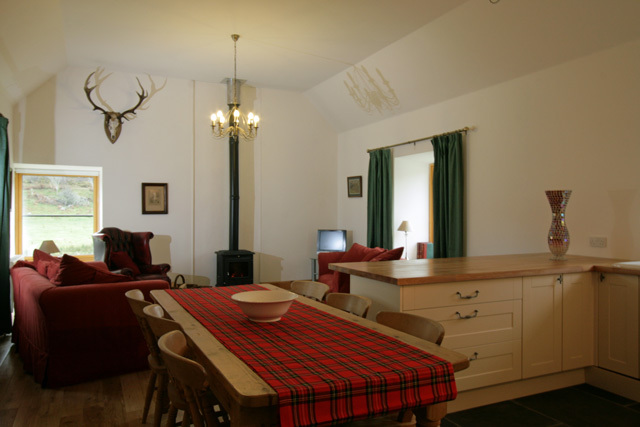 Booked Camerons Cottage for the Hogmanay week with several family members. Was very pleased with the facilities and warmth, especially as there had been a smackering of snow before we arrived and low temperatures throughout the week. 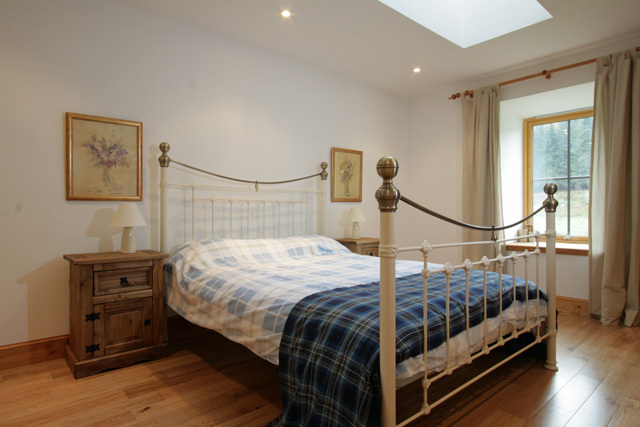 The Cottage was roomy enough for us 5 adults with accommodation well thought out and presented in a clean and tidy way. The owners, who live next door, were very welcoming and helpful. Ideal centre for forest and loch walking. A car is really a necessity to get to the many places to visit in the area. Very enjoyable time. Excellent cottage, great location, great coffee shop within 2 minutes walk from the front door. Ideal base to explore the area, only disappointment was NO snow you can't have everything. Morag the owner was very friendly and helpful. The nearest supermarket is 20 minutes away but for orders over £40. Tesco deliver for free. A god send but don't forget anything as we did. Will definitely be returning in the future. If you have a spare day go to the Ben Nevis range and go up on a gondola, great experience and views. Me and my fiance Garret stayed at Cameron's Cottage on our trip to Scotland through the Highlands and it was by far the highlight of our trip. 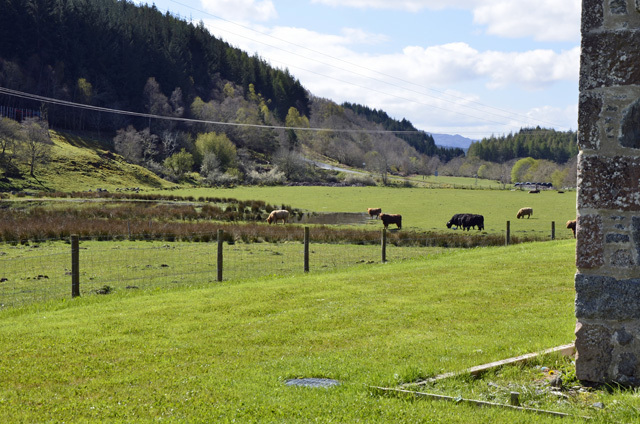 Morag was a delightful host and we stayed an extra night because of how lovely the cottage and surrounding area was! We could not have had a better experience and cannot wait to go back. I would recommend this to anyone travelling through Scotland, even if it means going out of your way! Had a fabulously stay at Cameron's cottage. The cottage was brilliant, couldn't have asked for anything more. Walking was great straight from the door and the views from the waterfall at Foyers was fantastic. Would definitely go back to Cameron's cottage, but just a bit too far to travel for us, but maybe in a few years time when we have forgotten how long it took us. Thank you. Very impressed with the layout and how well equipped the Cottage was. the photos really don't do it justice as it is much more spacious than it appears. Every detail has been carefully thought out, huge selection of books, DVDs, board games for hard to occupy children! 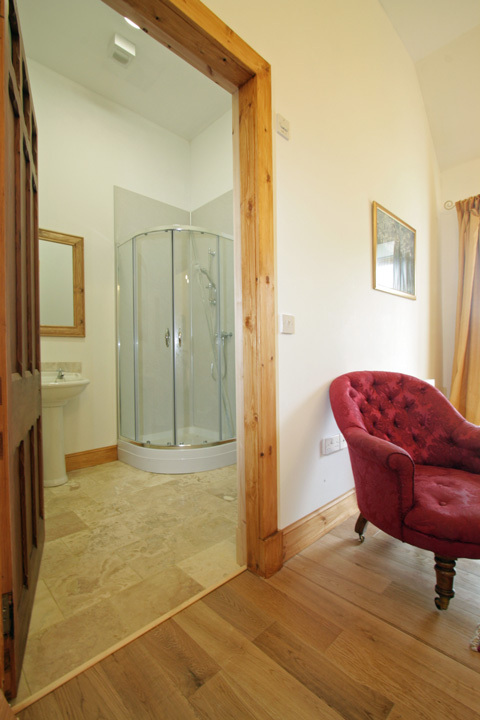 Well equipped kitchen, logs provided for log burner, and fabulously deep roll top bath for a luxurious soak after a days walking. We ranged in age from 11 to 74 and it suited everyone's needs perfectly. Would highly recommend! Had an amazing time at Cameron's Cottage. Very spacious, all comforts provided. Owners extremely nice. Bottle of wine & biscuits laid out for our arrival. Everything thought of to make our holiday relaxing. 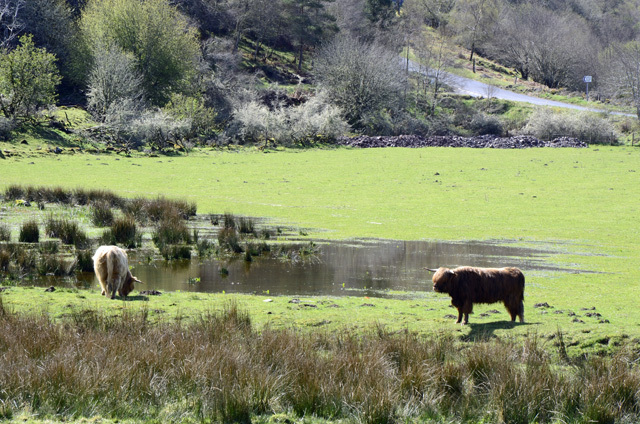 Highland cows to wake up to - beautiful. Fully enclosed garden for the dogs. Owners even provided dog bowls. Superb cottage & would highly recommend it to anyone looking to stay in the area. Wine and shortbread was a lovely gesture on arrival. Fabulous property in lovely location. Worth repeat visits. 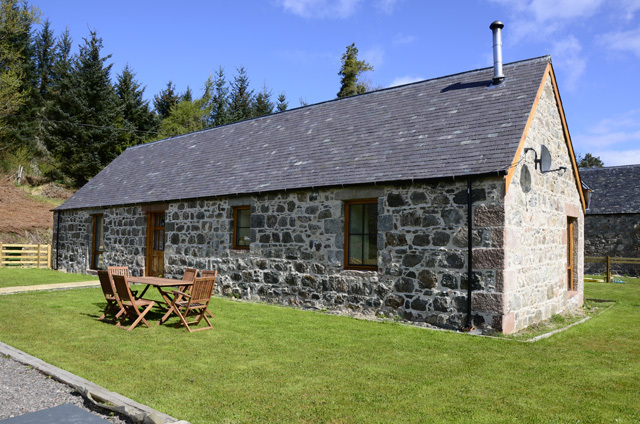 We stayed in Cameron's Cottage at Foyers for a 4 night break in October. Everything was superb. 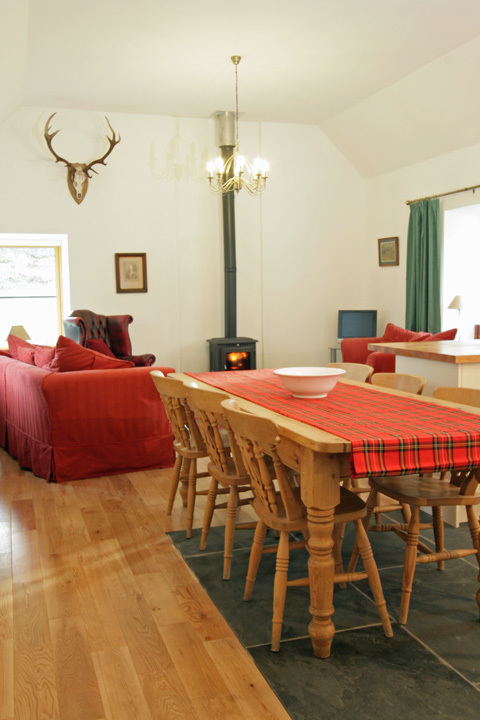 The cottage was exceedingly well equipped,warm and sparkling clean and a "sparkling" welcome awaited us after our spectacular drive through The Highlands. We shall certainly book through Wilderness Cottages again. 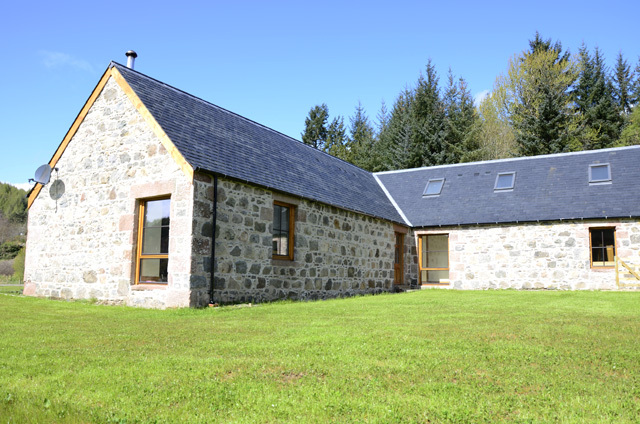 Cameron's Cottage is an amazing property located in a peaceful glen surrounded by awesome views. Our visit exceeded all expectations. We arrived to a very clean, well furnished, spacious & cozy home; quickly relaxing from a long drive. We'll never forget celebrating our Wedding Anniversary in the Highlands. The Falls of Foyer are spectacular and there are many walking trails & side trips easily explored by foot or car. We only scratched the surface & will definitely be back! Wonderful week at end of August in Cameron's Cottage. Light, airy and spacious. Comfortable,warm,welcoming,not only by Morag and her family, but also small herd of 'muckle coos' who kept us entertained! Great walks and wonderful sunsets to sit and enjoy. What a beautiful cottage. Very well presented and such a modern but traditional conversion. The only problem we had was that the only bedroom without an en-suite was the furthest away from the bathroom and we had a lot of trouble with the induction hob. Otherwise it was a lovely place to stay. With 5 adults, a baby and 2 dogs we never felt on top of each other as it is very spacious and not far from the Falls and woodland to walk the dogs. We have just had the privilege of being the very first guests and what a fantastic time we had. The property and location can only be described as 5 star. 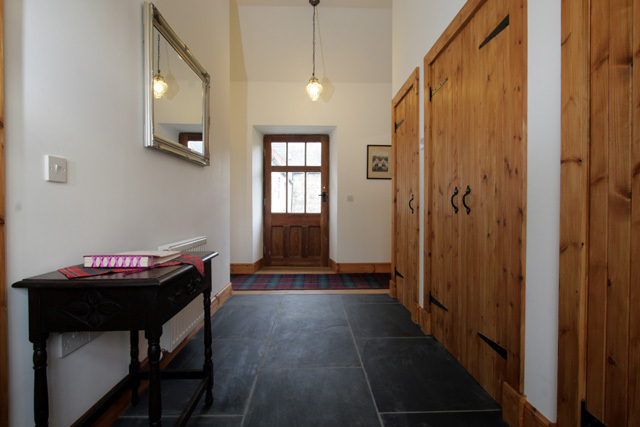 Sympathetically renovated to an exceptionally high standard, the cottage wants for nothing. You can be assured of a warm welcome and nothing is too much trouble. Plenty of walks in and around the area whether it be to see the beautiful Falls of Foyers or off the beaton track through the many surrounding forests and all on the doorstep!